Trending at $53.32Trending price is based on prices over last 90 days. 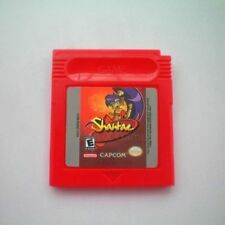 Shantae: Half-Genie Hero -- Risky Beats Edition Nintendo Wii U *New! *Free Ship! 4 product ratings - Shantae: Half-Genie Hero -- Risky Beats Edition Nintendo Wii U *New! *Free Ship! Shantae: Half-Genie Hero -- Risky Beats Edition WIIU BRAND NEW!!!!!! 4 product ratings - Shantae: Half-Genie Hero -- Risky Beats Edition WIIU BRAND NEW!!!!!! NEW Shantae: Half-Genie Hero - Risky Beats Edition (Nintendo Wii U) SEALED RARE! 4 product ratings - NEW Shantae: Half-Genie Hero - Risky Beats Edition (Nintendo Wii U) SEALED RARE! SHANTAE HALF GENIE HERO RISKY BEATS AUDIO MUSIC SOUNDTRACK CD! NO GAME INCLUDED!